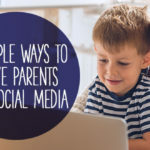 Social Media can change your children’s ministry by helping you to develop a powerful network of people who share a common passion and interest. These fellow laborers are people who can help you to grow in your ability to minister to children. They can provide accountability in peer-to-peer relationships and they can give much needed encouragement when things are not going well. Few things have the power to impact us as much as community. God, from the beginning, created us for community. In Genesis 2, shortly after God creates man, He says, “It is not good for the man to be alone” (Genesis 2:18, HCSB). He creates Eve from Adam’s rib and the first family is formed. Family is the purest form of a community. In a healthy family there should be trust, love, respect and accountability. Likewise, any healthy community should be an extension of these values and an opportunity to connect and learn from others outside of your closest circles. Ultimately, when we engage in community, whether it be online or in person, we allow God to connect us to people who will challenge us and inspire us to do better in our unique calling. We are, therefore, changed by the process of sharing ideas and networking with others. Michael Chanley is a guest blogger for Kids Ministry 101. He’s an ordained minister with over 16 years experience serving families and children. Michael’s vision to serve those called to children’s ministry led him to create CMConnect.org — a free kidmin network with over 11,000 members.